Categories: BCO/Shipper, Freight Forwarder, Port Drayage, Trucking, Warehouse. The shorelines of the Great Lakes and the Gulf Coast have both been referred to as the Third Coast, but with record setting activity at the Port of Houston, it’s the Gulf Coast that could be taking over. At this year’s Annual Global Supply Chain Excellence Summit the issue of congestion in both the ports of Long Beach and Los Angeles was brought up as a concern by the folks in the logistics industry. Others in the industry have expressed concerns about ongoing labor issues on the West Coast. Recently warehouse workers walked off the job in Los Angeles, which was just one in a series of strikes by port employees. Of all the ports considered part of the Third Coast boom, none have seen the kind of growth that the Port of Houston has. While Houston’s economy is struggling in other areas, such as oil production, the Port is on track for a record-setting year. 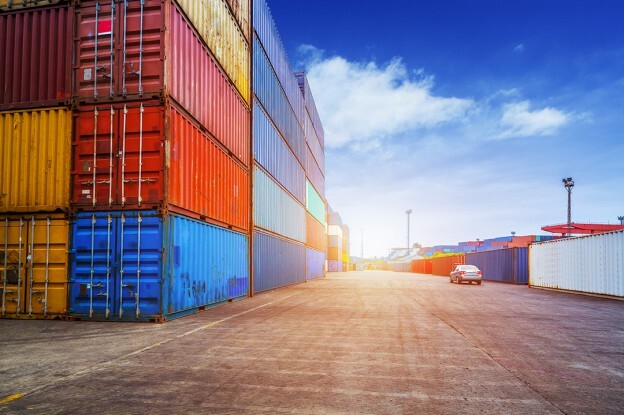 From January to June of 2015, the Port of Houston saw a 20 percent increase in loaded container units and a 26 percent rise in import steel tonnage. Having found success once with Houston, many companies are opting to keep their operations there. Industry experts recommend partnering with others along the supply chain who are innovative and pushing to be the best. Recent investments in the Port of Houston have made it more attractive to many in the logistics industry. Thanks to investment in infrastructure and growth, Houston could keep climbing the ladder. “It’s hard to overemphasize the value of this investment, particularly when you factor in how much it helps lower the cost of imports and make our exports more competitive overseas,” said John C. Martin, Ph.D., President of Martin Associates. Another advantage for Houston and other Third Coast cities like New Orleans is their proximity to Latin and South America. Next year the Third Coast will get another big geographical advantage. When the Panama Canal expansion is completed next year, larger ships will no longer be limited to the deep water ports on the West Coast. But while Third Coast ports like Houston continue to grow at an impressive rate, none of them are anywhere close to rivaling the top two ports in the U.S., which remain Los Angeles and Long Beach. For more detailed information about the ports of Los Angeles and Long Beach, including maps and contact information, download a free copy of Comprehensive Port Service Guide.